According to Gartner, the rise of big data, social networking, cloud infrastructure and mobile interactions is forcing companies to focus on risky information strategies. The analyst company predicts that by 2017, a third of Fortune 100 organisations will experience an information 'crisis'. Gartner reckons that over three-quarters of individual information management schemes are isolated from each other within big organisations. This is causing, it says, an inability to handle enterprise information correctly. Business leaders need to manage their information, not simply retain it, Gartner adds. They must design enterprise information management (EIM) initiatives so that the sharing and reusing of information creates business value. "There is an overall lack of maturity when it comes to governing information as an enterprise asset," said Andrew White, research vice president at Gartner. "It is likely that a number of organizations, unable to organize themselves effectively for 2020, unwilling to focus on capabilities rather than tools, and not ready to revise their information strategy, will suffer the consequences." 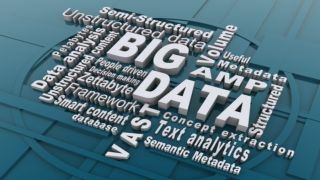 Gartner offered some recommendations so that big businesses are not swamped by the amount of data and information they might need to handle. Identifying crucial business outcomes and determining processes for incoming information were high on the list, as well as setting priorities for new EIM programs. Finally, says the analyst group, they need to adopt a program management approach for EIM, to identify work efforts, resource commitments, stakeholder expectations and metrics for success.